Determining whether skies are dark enough for star hopping? I'm new to the hobby and forum, and curious if any of you have found ways to assess whether skies are dark enough to star hop satisfactorily. A bit of background, I'm brand new to the hobby, for the past few months I've been having a great time getting to know the sky from my backyard with the S&T Pocket Sky Atlas and some cheap 10x50 binoculars. Although I'm not in a rush to get a scope, I can of course come up with plenty of rationalizations for doing so sooner rather than later. Based on this site and the handful of books I've read, I'm more or less convinced to get a dob (maybe this 8" from Skywatcher? ), which would see most of its use in my urban backyard (naked-eye limiting magnitude 4.5-5.0). But I've also read a number of well-informed opinions suggesting that goto or push-to is very useful, bordering on necessary, in bright skies. So, I'm wondering if there's a test like 'if you can find your way to [a somewhat out-of-the way, but still detectable in bright skies binocular object] with binoculars, then you probably have a sufficient combination of darkness/patience to manually find objects in a telescope to your satisfaction.' I'm expecting a learning curve with whatever scope I get, but want to make sure I have realistic expectations for my ability to find things with a manual scope. I imagine I'll spend most of my time at least initially on clusters, planets, and interesting stars (basically, whatever can be seen from my backyard). My thanks in advance for any insights you all may have - I've loved reading these forums, and have found no other corner of the internet that is so insightful while also being so pleasant and welcoming! Welcome to CN! If you are using a magnifying finder, preferably a RACI, then that magnifying finder will let you see dimmer stars than you can see naked eye. Your 10x50 binoculars should be a pretty good estimation of what you can see in a 9x50 RACI, which is a common type, if you can hold the binoculars steady. I would not recommend the other common RACI size, a 6x30, because the smaller magnificaion and aperture will reduce that "star multiplying" effect. The other issue is that you usually start the star hop from a naked eye star that you see and then line the RACI up with that naked eye star. Then your star hopping is in the RACI. So, if you cannot see many naked eye stars then you may end up starting from a point (naked eye star) that is pretty far away from your target, and the longer the distance you need to star hop the more likely you will get lost before reaching the target. Practically speaking, my skies are probably comparable with yours and I have the Skywatcher 8" dob, and it took me at least a month to even start to be able to find targets with some reliability. I am slow though, I know some others pick it up in just two or three sessions, and you will get faster with experience. But I still have some objects that I cannot find but which are visible when I use my 6SE on the goto mount. Again, the difficult objects are usually those with no naked eye stars nearby and that are pretty dim. The Skywatcher in your link is what I have, and it has a straight through magnifying finder. I used it for two sessions before going ahead and buying a 9x50 RACI, and I would recommend you do so as well unless your back can handle bending way down and looking up through that straight through finder. There are comparably priced 8" dobs that come with a RACI, so you might save money in the long run getting one of those. (The RACI runs at least $70, may be closer to $100 have not priced lately). A number of people on CN have had good success in your situation with a push-to dob, usually the Orion XT8i "intelliscope" is recommended. Way it works, it is not a goto scope, but when you enter your target into the handset it will provide guidance. I have not used it but my understanding is that it will tell you to push to the right ... stop; now up ... stop, and you should be on the target. Advantages are lower cost versus goto, can still use as a purely manual scope (star hopping), and very good battery life (I think it is a 9V dry cell or something like that, and lasts many sessions since it is only reading electronic sensors and running a dim display). The one downside versus goto is that you don't get tracking. Yeah, I'd say to be able to star hop in bright urban skies you absolutely have to have a good finder - don't skimp on that; get a 50mm, RACI (Right Angle Correct Image). Then when viewing through it, be sure you know which way North and West are (or South and East), so you know which direction you're going as you're looking through the finder. Consult the atlas a lot, generally for each hop. You'll have to get used to the fact that the finder can reach deeper (show fainter stars) than the stars shown on the map, which can be confusing. The thing is, I'm not a Dob person, mostly because I learned to star hop using an equatorial mount when I was about 12 years old. An equatorial helps quite a bit with star hopping, since it helps you resolve which direction you're going, relative to a star atlas, (i.e. North, South, East or West), and as a result I don't hesitate to star hop in urban skies. But the thought of doing it with a Dob does give me pause. It would take some adapting. So maybe being new to it all, for you it won't really matter so much. The important thing is, you have to be patient, and as you make each "hop," you have to be sure you're pointing at the correct star field before moving on. One nice thing about the 6x30 RACI finders is that the fewer stars they show more closely matches what's printed in a common mag6 or mag7-ish star atlas. A 9x50 is great because it will also actually show many targets you seek as a fuzzy patch, but the additional stars beyond those on your charts can make star hopping more confusing. zleonis - You pose an interesting question to which there is probably no completely definitive black and white answer. The good news is that you have already started down the right road from my experience (and the experience of others on this forum) by using your binoculars and your Pocket Atlas. You are actually well on your way to star-hopping with a telescope by using these tools. Here is what I might do if I were in your shoes. Search this forum (or other Internet sites like Sky and Telescope, etc.) for a short list of popular binocular targets. Remove any naked-eye objects from the list since you are obviously interested in finding out whether you can star hop to telescopic objects. Using this list, your Pocket Sky Atlas and your binoculars, attempt to star hop to the objects on the list. If you find that you are able to find naked-eye stars that are close enough to begin your hop to the items on your list, that might help answer your question. I believe that you are going to be able to answer your question WITHOUT buying a telescope if you take your time and fully utilize the tools you have. Remember, ancient civilizations built magnificent observatories so that their astronomers could study the night sky NAKED EYE. You've said that you are prepared for a learning curve with a telescope - also be prepared for a learning curve with your star-hopping skills. Also remember that MUCH (MOST?) of this learning curve would have to be endured by someone in a darker sky area as well. Finding objects in the night sky, regardless of your seeing conditions, is a skill to be learned. As NEOhio mentioned, some learn more quickly than others. My non-objective take is that by using binoculars, a quality finder and the proper charts, star-hopping is possible just about anywhere. Light pollution definitely makes star hopping harder. But it can still be done even in the city . Under darkish skies, M45, M44 and M31 are naked eye objects. In my suburban skies, not so much. So one can compensate by using GoTo or a wide field telescope. Recently I was out with a couple buddies on a rather hazy evening. We hadn’t had clear skies for awhile so we got scopes out even though the only targets worth looking at were M45, M44, M42 and the Moon. A buddy said he could see M45 naked eye. I sure couldn’t but he guided me, and I found it quickly with my 3.4 deg wide field of view. I couldn’t see the sword of Orion but I could see the belt, so again using my huge FOV I was able to track down M42 quickly. Then my buddies were amazed I was able to get M44 with just a few stars visible in that part of the sky. Knowledge of starhopping and wide FOV were both important for that one. The moon was easy of course, and had an interesting orange glow due to the haze. So if you know the sky well enough, and have a wide enough FOV, you can absolutely starhop in urban skies. But GoTo is certainly helpful, especially for narrow FOV scopes like SCT or Maks. Or for beginners who don’t know the sky yet. Under clear skies, with my borderline red zone skies, I can starhop quite effectively even with my 1.3 deg FOV Mak. So it can be done if you know the sky well enough. But I run out of targets faster. With Goto you can keep going all night, although at a certain point the targets may cease to be interesting depending on aperture of your scope and local light pollution. Edited by SeattleScott, 12 April 2018 - 06:02 PM. Thanks to all with the helpful suggestions. NEOhio & ff., I appreciate the guidance on finders. I was wondering if there was some way in which sighting targets through a straight-through finder mounted to a telescope was easier than it looks, and it seems the answer is 'no'. Mariner 2 and Gemini, thanks for your encouragement along the star-hopping path, and I'll definitely take to heart the suggestion to explore binocular objects to gain more familiarity with finding my way around the sky. I had a great time last night finding M3, which granted is close to a bunch of bright stars and even in my skies is hard to miss if you pan over it, but still, the search was a good part of the fun. Thanks again! I live in the Chicago light dome. About 30 miles west of the city. I can see 2 stars of the little dipper to give you an idea of what I can see. a bright star somewhere near my ultimate target. If you download sky safari to a tablet you can get the real time altitude and azimuth of any object you might want to view. plans to do this on this site. a bright one and your target too. A two inch eyepiece is a big help too. This gives you the widest possible field in your scope. As someone here mentioned an EQ mount (GEM) can be used to star hop too. I suggest the orion sky view pro mount, since it has the largest manual setting circles of any low cost GEM. Choosing the GEM will limit you to a 6 inch scope. That is why many people suggest a DOB. You can easily move and use 8 inches of aperture. at high power for an extended period of time like the moon or planets. Edited by vtornado, 12 April 2018 - 08:32 PM. I use a 10” reflector on a medium duty eq mount, so you can definitely go bigger than 6”. Granted mine is a custom build that weighs closer to an 8”, which is the conventional wisdom largest newt you can put on a medium duty eq. But an SCT is more compact so few would hesitate to put a 9.25” on a AVX. Lots of good stuff here . I like to star hop, its part of the fun and being a fun loving guy .. It's just a given. Not everyone enjoys star hoping, not everyone has the patience or the interest in developing that skill set .. There are other good options . But if want to star hop, i think it can be done under nearly all conditions. With severe light pollution it becomes more difficult but because of the light pollution, the number of objects visible is much reduced . More time to hop . Finders: A RACI finder and a red dot/Telrad/Rigel are ideal. The last piece is a low power wide field eyepiece for star hopping with the main scope. Initially one points with the red dot or Telrad. That can be close enough to put the object in the wide field of the main scope. Otherwise , its using the finder to identify and stars and follow a path to the object. Do not expect to see the object in the finder. Charts: I use SkySafari Pro . Lots of information and the chart view matches the sky for the time and location . Last night it was clear . I had been looking at NGC3115, the Spindle Galaxy , magnitude 9.1 out under dark skies, i wondered if i could see it from my light polluted red/white zone backyard. I set up my 13.1 inch starsplitter Dob . The closest star i could see was Alpard, about 10 degrees away at magnitude 2. I could not see the magnitude 3.6 Lambda Hydrae. I devised a strategy and working between Sky Safari, the Telrad , the RACI finder and the main eyepiece, I located 3115 in about 5 minutes.. I think the answer will be relative to the combination of scope+finder plus the object you're trying to observe. I live on a city that appears red in the light pollution maps. For observing bright stuff (like M42) or most open clusters, I can star hop easily with several of my smaller scopes and a RDF, or with my 6" SCT and 8x50 RACI. However, I did build a DSC for my dob, which I don't use all the time, but a couple weeks ago when I was hunting for galaxies in Virgo (of which only very few can be seen from light polluted skies), The DSC ended up being crucially helpful, not just because those galaxies were faint and smallish, but because the area has fewer stars to help you navigate. I don't think I'd have been able to start hop to M49 and M87 from here without it. I think you should worry more about how many (or how few) sky objects can be seen from your skies, than about whether you'd be able to star-hop to them. Just getting back into this wonderful hobby, I initially was looking at a GoTo as I am mainly under around the same light pollution as you describe, maybe a touch better. I have an old dob I bought as a teenager back in the mid 80s. Back then my finder was sighting down the tube. Fast forward to now, Got back in the hobby last December. First thing I did was get a Telrad. Due to extreme cold/clouds, I've only had my scope out a few times. In my light polluted back yard I tried star hopping to a few objects that seemed easy to hop to. That is the Telrad as concentric circles that correspond to degrees in the sky. Using Stellarium [http://stellarium.org/](you should grab this if haven't yet) I picked out a few objects, used the Telrad overlay to see where the circles lied in relation to stars I could see. If it was 2 large circles away, I noted that and moved accordingly. I used that method in my back yard, and found just a few objects in short order. The others I knew I as looking in the right place, just didn't see them. I then went to a star party last month in much darker skies. Using the same method I easily found those objects that were elusive in my back yard. 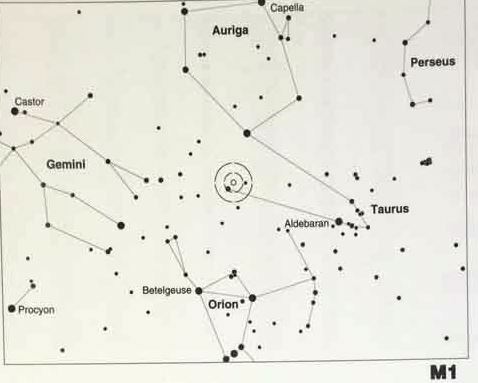 Found M1 on the first try by just lining up the middle circle on the one star in Taurus. (See attached pic) Lined it up, looked in the eye-piece and there it was. In my backyard I never saw it. I have an 8" scope and it is reported that I SHOULD be able to see them in my conditions as others have seen them with smaller scopes in worse conditions. I am attributing it to my inexperience observing. As I found out, just because you can see something, doesn't mean you are observing; if that makes sense. So far I have not found the need for a magnified finder, but, as they say, YMMV. My fist mis-step was making my azimuth circle go the wrong way so everything was 180 degrees off, easy fix. The next was trying to use my digital angle finder in sub freezing weather. It was SUPER SLOW to respond so I was chasing it WAY too much. Now I keep it in my pocket when not used to fix that. Final thing is I didn't level the scope so my reading were about 10-20 degrees off. Some in the thread say it isn't necessary. Haven't had a chance yet to try it with a level scope, but I am guessing that will resolve the last issue. I use the Celestron Skyportal and SkEye apps on my phone to get the up-to-date coordinates. You don't mention where you are, but one of the best things I did was hook up with the local astronomy club. Actually 2 for me as I am in between Pittsburgh and Youngstown. Just google "astronomy clubs near me", or if you don't have location services active, "astronomy clubs near <your town here> My only, so far, star party I went to was extremely helpful. Learned more in one night there than the whole time I've been on CN, and that's saying something as CN has been VERY VERY helpful. Nothing like seeing actual scopes and viewing through different ones to see what you like. For me I compared my 30+ year old 8" to a modern 12" and if I was sitting down I would have fell out of my chair. It was only one object (M42), but the difference was night and day. WAY more than I expected it would have been. I plan on hitting more star parties and viewing different objects with different scopes/eyepieces before deciding if I want to upgrade. Edited by AnalogKid, 13 April 2018 - 10:59 AM. Thanks to all with the helpful background on different aids for finding your way around. It sounds like between a finder scope, telrad/red dot, and setting circles, there are lots of strategies for finding your way around the sky even in bad conditions, it's a question of figuring out what suits you best. Jon, thanks for the rundown on your process, seems to have served you well. I love SkySafari by the way, I can think of few 99c that I've spent better. Analogkid, I'll certainly follow your advice to check out a club near me (Richmond, VA) so I have a sense of what I'm getting into. I'll report back on what ends up working for me, although it may be a few months - my wife and I are expecting our second child any day now and I certainly don't need an additional thing that keeps me up all night at this point . I second all the Telrad recommendations above. When I star hop, it’s using the geometric method putting my Telrad in the right relationship to bright stars. I’ve never had much luck with moving one eyepiece or finder view at a time - but then again I’m not chasing anything too faint from my front yard. Check out this book - worth every penny. You can find free Telrad finder charts on line, but the background and ‘pep talk’ - yes, you can do it! - in the book make it worth having. My first night with it from my suburban front yard, I found around 30 Messier objects - more than in the preceding year combined. I use my binoculars to check the sky before hauling out my scope. I keep a pair of 7x50s by the door for a quick check every night. Lately, I've been using the Orion nebula as a test. Is a bad night if I can't see that with binoculars. After seeing a 9.25" side by side with a C8, I’m not sure anymore if it’s a good idea to upgrade from my C8 to a C9.25 Edge on that AVX mount. A C8 ota is 12.5 pounds. A C9.25 Edge weights 21 pounds. If you add a 9x50 raci finder, à Starsense unit, a dew shield, 2" diagonal and a big ES82 30mm eyepiece to it, you’ll be very close to the specification limit of 30 pounds for the AVX. Workable but not optimal. Edited by AxelB, 13 April 2018 - 09:13 PM. I see your point. I was thinking more like the 20lb standard C9.25 without Starsense (do you need a finder with Starsense?) and a straight through finder or telrad, and my 19 ounce 42 LVW. And dew shield. Probably more like 25lb. So I guess the configuration can matter, especially when you are starting to push the limits. Telrads are most effective when the skies are reasonably dark and one can see enough stars visually. If the nearest visible star is 10° or 15° from the object, precisely measuring those calibrated fields is difficult. A magnifying finder will dramatically increase the number of stars visible so one can now identify stars and star fields and effectively star hop. In locating NGC3115, I could not see magnitude 3.6 stars visually but with the 8x50 finder , I could see magnitude 7 and fainter stars which allowed me to precisely point the scope right at this magnitude 9.1 galaxy. In that star hop. I looked at Sky Safari to determine what i should be seeing. I started with the magnitude 2 star with the Telrad. I estimated the position of magnitude 3.6 star with the Telrad and located and centered it with the magnifying finder and then using the magnifying finder, hopped from star field until until I located two stars that were with a degree or two of the target and allowed me to point the scope at the object . I agree with using Sky Safari for star hopping. That's really all I use it for. It's quite accurate and you can flip the view to suit. That and storing my observing list. Highly recommended. It can get difficult, but not impossible with a bright moon or severe light pollution. But once you get close in the finder, you can also star hop at low magnification through the telescope, too, and see even dimmer stars. Using s cell phone dampens your dark adaption, but you'll get it back in short order. From my urban backyard, i use the night mode/red screen and a red on black keyboard in combination with a screen dimmer called screen dim. Under dark skies, I dim the screen even further and wear red googles to protect my night vision from the screen's inherent white light leakage. This increases the contrast aand allows me to reduce the screen brightness even more . Most a red screen film like rubylith . Dark adaptation is critical in seeing faint objects. Fully dark adaptation is a chemical process that takes about 30 minutes but is reversed almost immediately by light . Jon, I agree. I've tried the red view in SS, but I dunno...I like seeing the color version. If there's a red star near the edge of the FOV, for example. Or a yellow one, I know I am on track. Maybe the red version takes some getting used to. It has a dim function? Need to look if my version has it. That'd be nice. Yes, I understand dark adaption is a chemical process and takes time. I am usually spending that much time on an object anyway, at least. When dim field stars populate the FOV, I know it's game on under the hood and with smaller exit pupils I prefer. I avoid using any sort of light outside at all, even a red one to take notes. Just me...but, to the point, I love Sky Safari for star hopping. It's absolutely convenient. I love Sky Safari for Star Hopping. I have been using electronic charts for more than 20 years. Sky Safari represented a major step forward. I am on the Android side of things. I use an app called Screen Dim to control the brightness and contrast of my screen. It's an app written by a Cloudy Nights member specifically for amateur astronomy. As far as the red screen and dimming the screen as much as possible: This is the beginners forum and I think it's good to stress the importance of dark adaptation. That is normally a hard lesson to learn. If the screen or light is bright enough is bright enough that it is easy to read, it is more than likely too bright. Under dark skies or when I am trying to see faint objects from my urban backyard, I pay close attention to maximizing my dark adaption. Otherwise, I will be more relaxed about it, in part because my primary objects of interest will be the planets and double stars, for these objects, dark adaptation is much less important and maybe even be counter productive..
For me, star hopping starts to get frustrating when the Nakid Eye Limiting Magnitude (NELM) drops below about 3.5. At 4.5-5.0, you should be fine. Also, it often helps me to preview the area I'll be star-hopping through with my 8x42 binoculars. The wider views and two-eyed viewing provided by the binoculars helps me correlate what I'm seeing in the sky with what Sky Safari shows, and let's me map out a hopping strategy in my head from a relaxed position.